Energy Savings. Lasting Impact. Powerful Incentives Added Property Value. 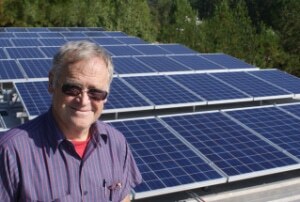 By generating your own solar power you’ll significantly reduce lower your monthly energy bill. Most of our customers see savings of between 50% and 80% on their monthly bills (why not 100% energy savings). Solar power not only saves you money today, it also protects you from rising utility rates. This is because as utility energy prices continue to rise, the value of your solar production will increase equally thanks tonet metering. Plus, solar savings are extremely predictable. While there will be days or weeks of cloudy skies, you can bank on the consistency of annual solar radiation levels. We’re so confident in our ability to predict your solar savings that we guarantee all of our savings estimates. If you produce less than we predict, we’ll make up the difference with cold, hard cash. The impact of generating your own solar power goes far beyond saving you money every month. Solar is a clean and renewable source of energy. Every kilowatt-hour of energy produced by solar means one less produced by fossil fuels. 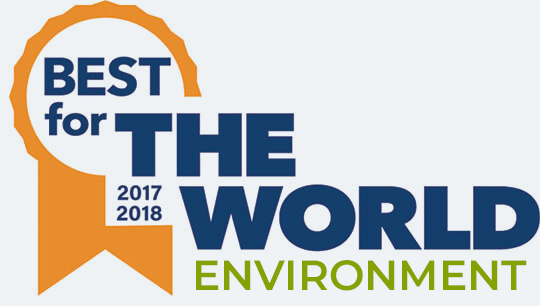 This directly helps to reduce pollution, preserve natural ecosystems, and fight climate change. 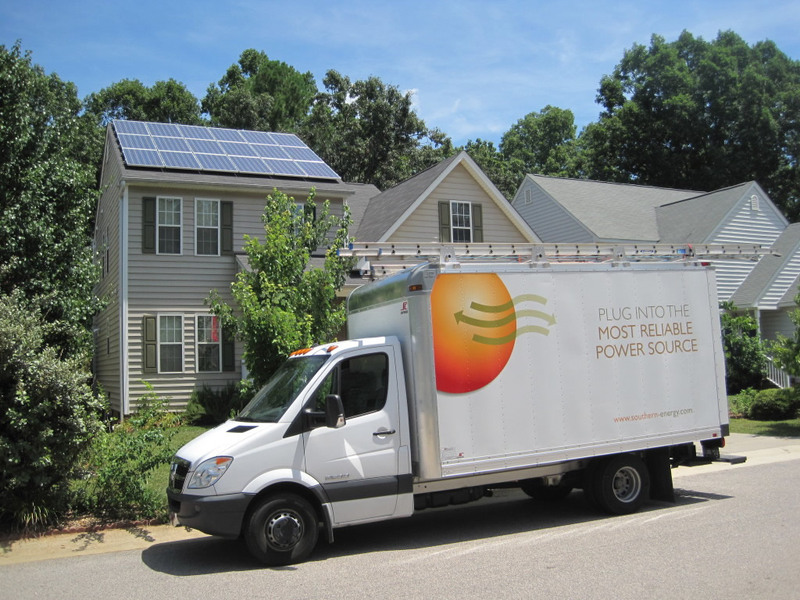 The average home solar system in North Carolina will offset more than 216 tons of carbon emissions over 30 years. That’s the equivalent of not driving 480,000 miles or planting 5,000 trees. A home solar system will offset the carbon equivalent of planting 5000 trees over its 30+ year lifespan. One of the biggest reasons to invest in solar now (vs in the future) are the powerful incentives currently in place to drive the growth of solar. 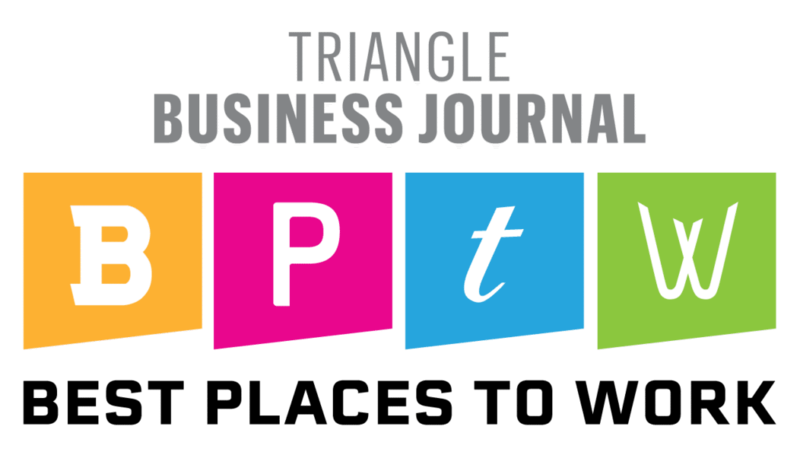 For homeowner’s this means the 30% Federal Tax Credit for solar and, depending on where you live, additional rebates from your utility (like Duke Energy’s Rebate). When the tax credit is combined with utility rebates, the cost of a home solar system is reduced by between 40% to 50%. For an average home solar system, that equates to around $10,000-$15,000 that you can reinvest in your home, instead of giving it away to the IRS or your utility. Businesses can take advantage of the same incentives as homeowners, but are also eligible for additional bonus and accelerated depreciation options that make commercial solar investments really shine. When you combine all these incentives, businesses can see discounts of more than 70% off the cost of their solar systems! These incentives are not unlimited, however. The federal tax credit for solar is scheduled to be reduced annually starting in 2020, leveling off at 10% in 2022. Duke Energy’s solar rebate has an annual capacity that is expected to fill up quickly. So if you’re considering solar power, make sure you take advantage of these awesome incentives while they’re here. 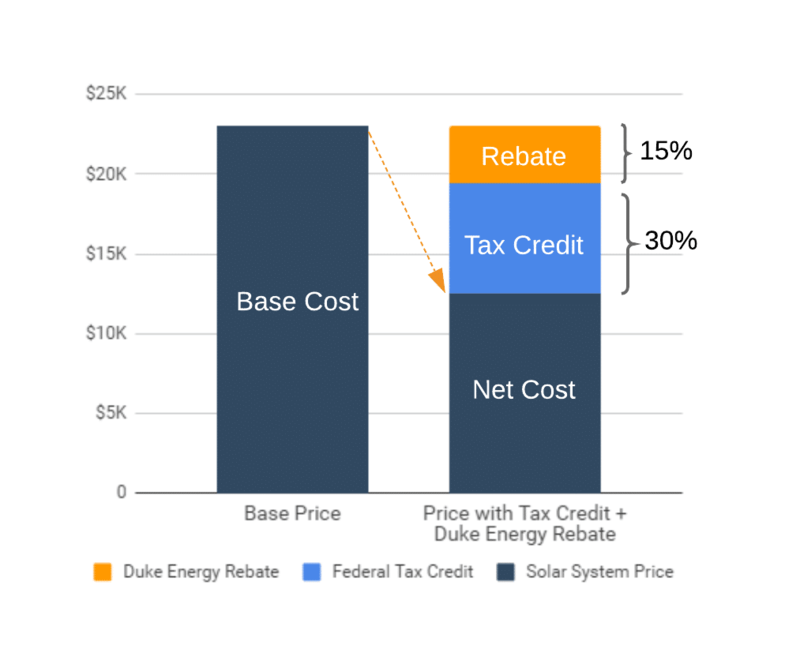 When you combine the federal tax credit for solar with Duke Energy’s utility rebate you can save 45% or more on the cost of a home solar system. Many solar curious people we talk to start off thinking about solar as purely an investment–you pay for a solar system and then over a span time you reap a return on your investment. They don’t take into account that solar is also an asset that adds value to you home or business as soon as its installed. There are multiple studies at the national and state level that show that homes with solar appraise for higher than homes without solar. While appraisal rates will vary based on the local market, all signs indicate that the added home value of solar is higher than the net cost; thus giving an investment in solar a greater than 100% return.